When the Holy one Bless be He, plan to make a miracle, the Shechinah comes to that place. When Moses hit the rock, the Shechinah went away and God was upset because there was a loss of connection between the light and the vessel. To sanctify is להקדיש, meaning to make holy. YHVH wanted to make a connection through the water to the Shechinah and transfer the supernal light to the people. If the people were to reach the Promised Land (vessel and Shechinah) with that water (=supernal light) the vessel would have been filled and would have created equality between light and vessel. This is the goal and process of creation, to bring back the oneness that was in the beginning. Genesis 1:9 “יִקָּווּ הַמַּיִם מִתַּחַת הַשָּׁמַיִם אֶל-מָקוֹם אֶחָד” “let the water gather into one place…”, That place is the Holy Land. The archangel Metatron, represented by the rock, was the bridge between upper and lower. He was “one foot” inside Malchut. 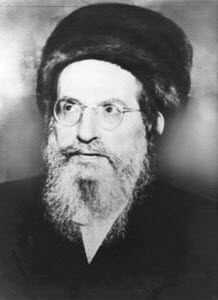 His name was מיטטרון, with Yod after the Mem. Numerical value 324. Bridging Binah with 10 times 10 sefirot add 100 to the process and we get 424, which is for “Mashiach ben David”. That is the aspect of complete connection between the light and vessel. Because hitting the rock was at the lower level, the letter Yod from Metatron’s name left with the Shechinah. Metatron is now at the supernal gate and the ‘job’ of bridging the supernal light to the vessel with Mashiach is left to Moses to complete. Daily Zohar #274 - Why Moses didn't speak to the rock? Daily Zohar #276 - Rx: Supernal waters every 72 hours.